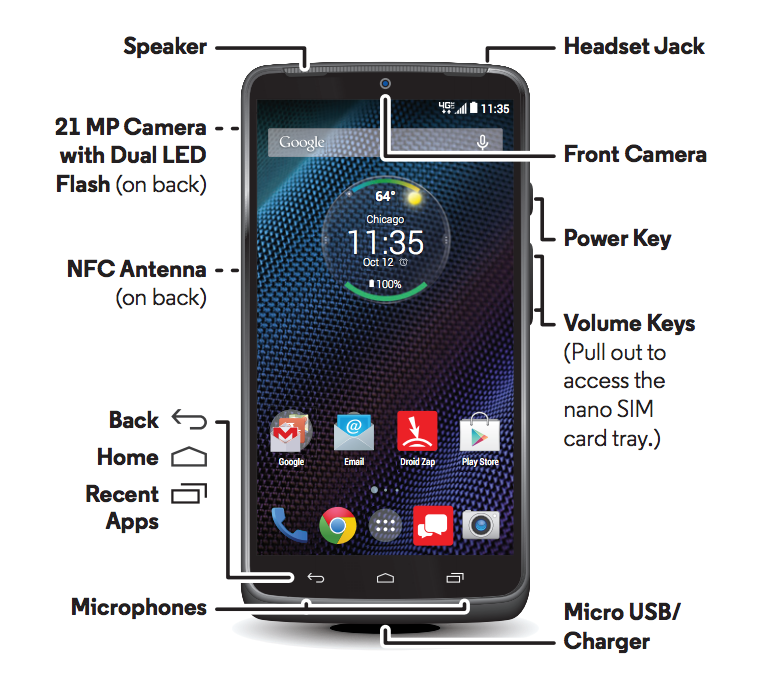 Forget whatever HTC just announced for a second, the DROID TURBO user manual appears to have just been leaked by MotoFirmware. We are still digging through its contents now, so if you don’t want to wait for us to update this post, feel free to jump into it through the link below. Update: First of all, the design matches up to what we had seen and heard about from sources. 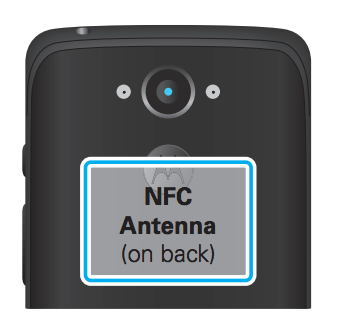 The centered front camera is the identifier here, along with those capacitive navigation buttons. We are also now finding specs listed, included an 5.2-inch “ultra high-definition display,” “high-capacity long lasting battery,” 21MP rear camera, Qi wireless charging, and support for Motorola’s Turbo Charger. 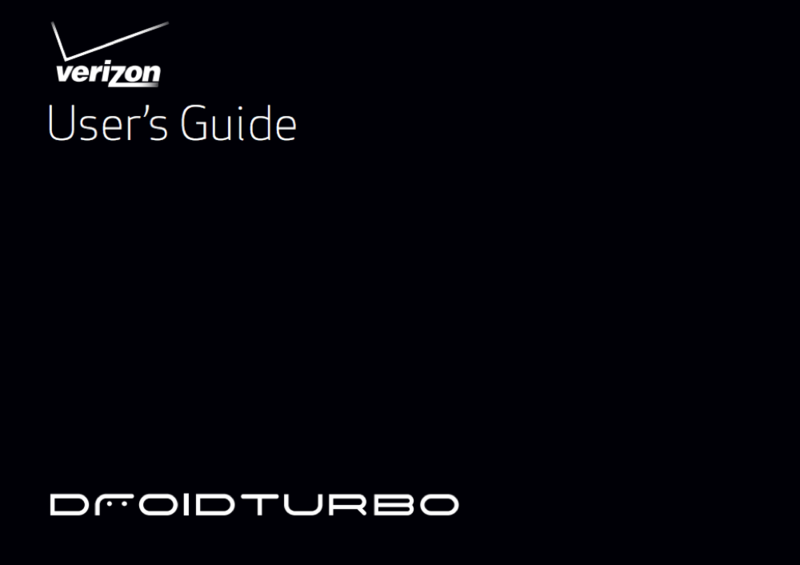 Actually, the Turbo Charger is included with the device. I would be lying if I didn’t mention that the display size was a bit of shocker. Most of us thought that we would get a 5.5-inch QHD display, even though some benchmarks hinted at 5.2. 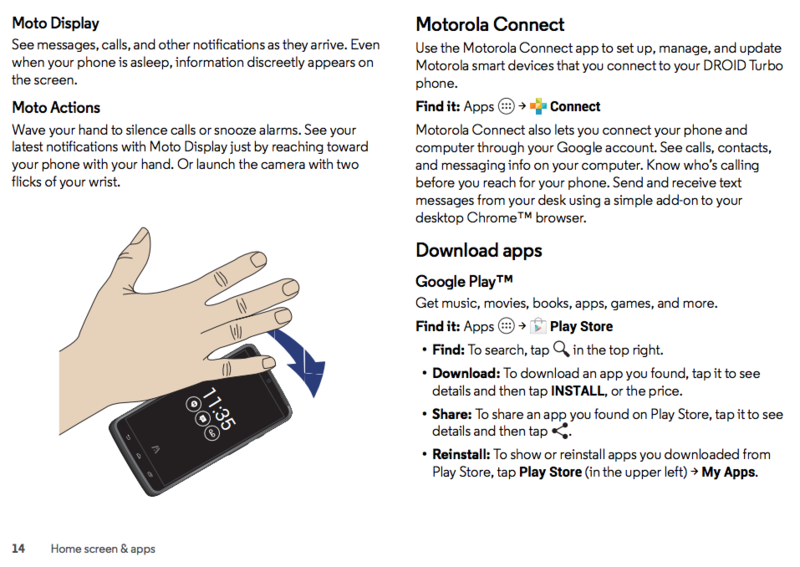 Update 2: Like last year’s DROID family, we are seeing support for the best features from this year’s Moto X, including the entire Moto suite of apps like Moto Voice, Display, Actions, Assist, and Connect. The device is running mostly stock Android again as well. Update 3: Here is a tiny picture of the backside. 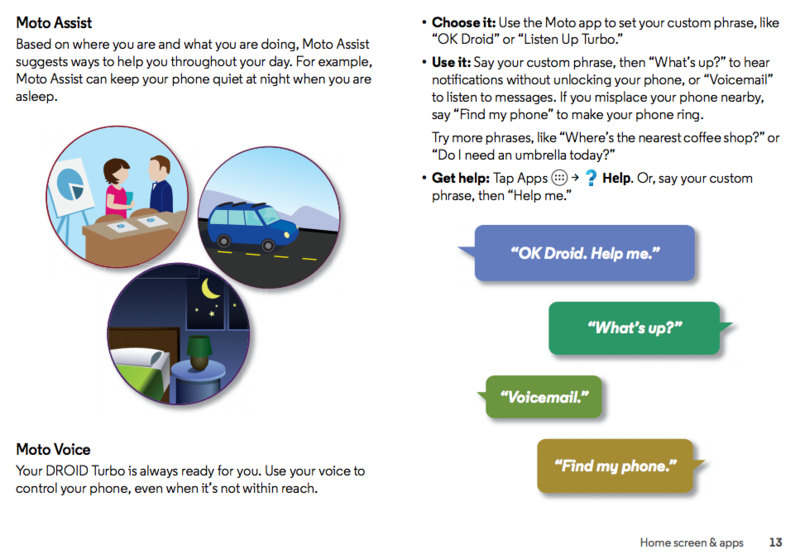 Update 4: Eventually, this site (http://www.motorola.com/mydroidturbo) will be loaded with DROID TURBO info.